View the entire table of contents for the June 30, 2010 issue. 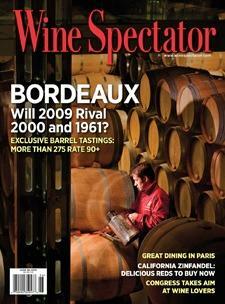 These wines were tasted for the Bordeaux Barrel Tasting report in the June 30, 2010, issue of Wine Spectator magazine. Note: These wines were reviewed as barrel samples and will be sold as futures. Futures prices were not available at press time. When the wines are reviewed in bottle, we will provide release prices.